One of the biggest concerns I had off the bat was the fact the oil found in the nuts would make for no head retention in the beer. I watched a few videos about it, and it appeared the oil would rise to the surface and be easily skimmed. Satisfied, I went off to write my recipe. The nuts would be added in both the mash and the boil. But to better incorporate them, I had to crush them. At this point I could see that the nuts still had some moisture content. This is where the oil comes from. For this brew, the mash was 90 minutes long. I incorporated one-third of the total nuts used for the batch at this stage for the entire duration. 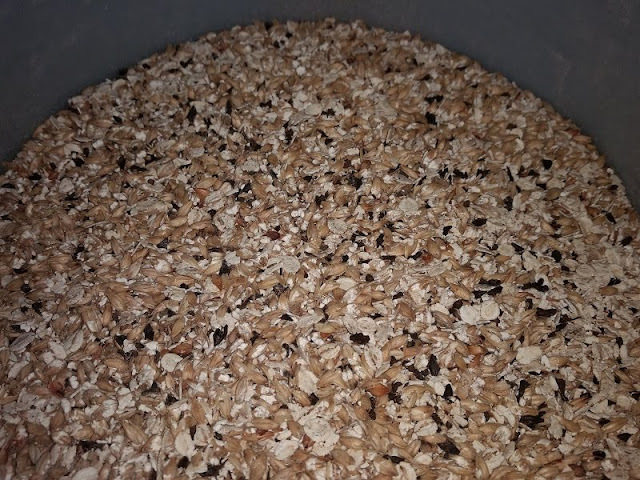 I had no issue filtering the wort off both the grain and nuts. 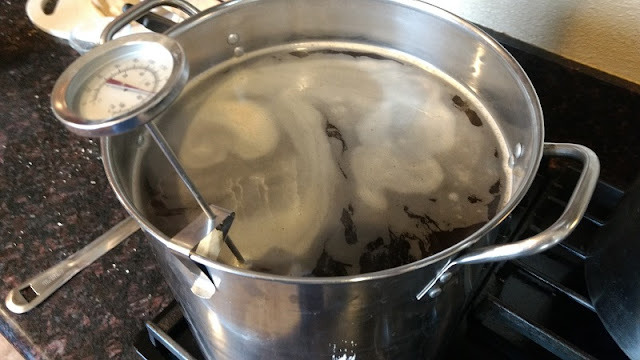 The boil was slated for an hour, with a total of two different hop additions. 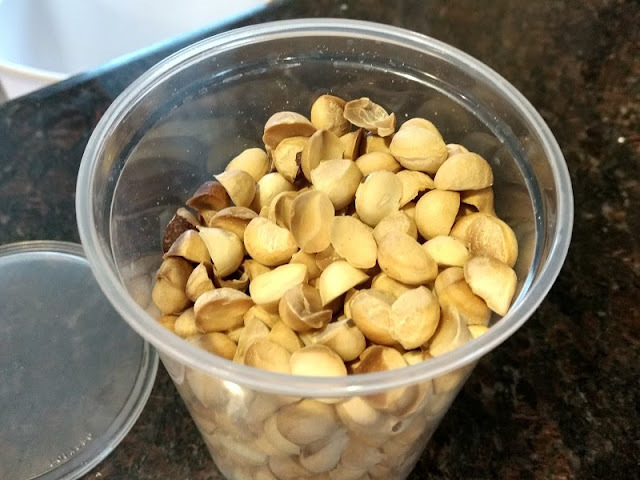 The remaining two-thirds of the nuts were added in at the beginning of the boil. Unfortunately for me, the nuts I placed into the hop bag in the first kettle broke out into the wort. 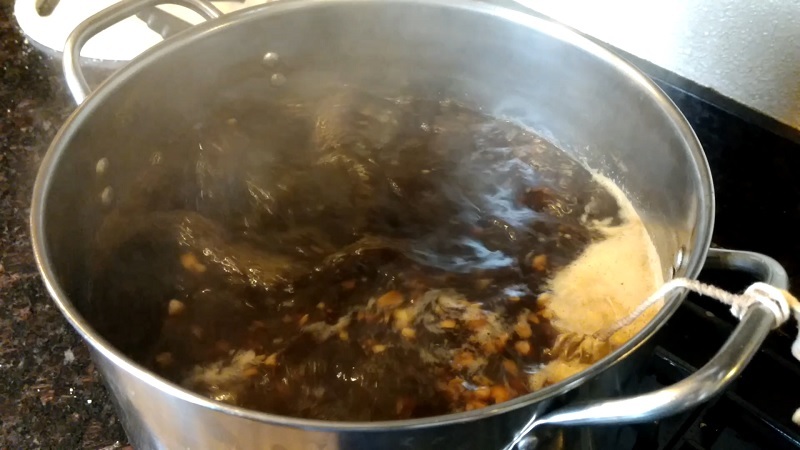 I spent a good deal of time fishing and filtering off the nuts as soon as the boil ended. 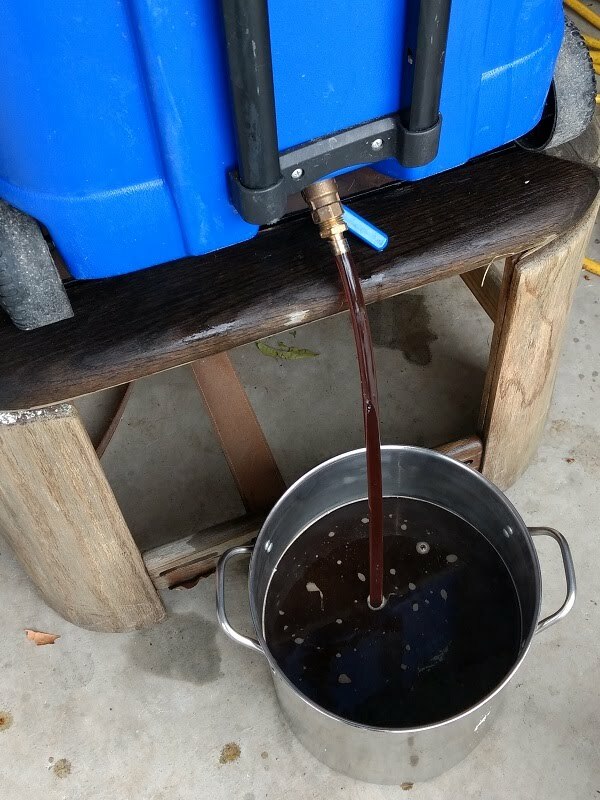 Once the boil was done, I let the wort cool outside for a while (with the top on). 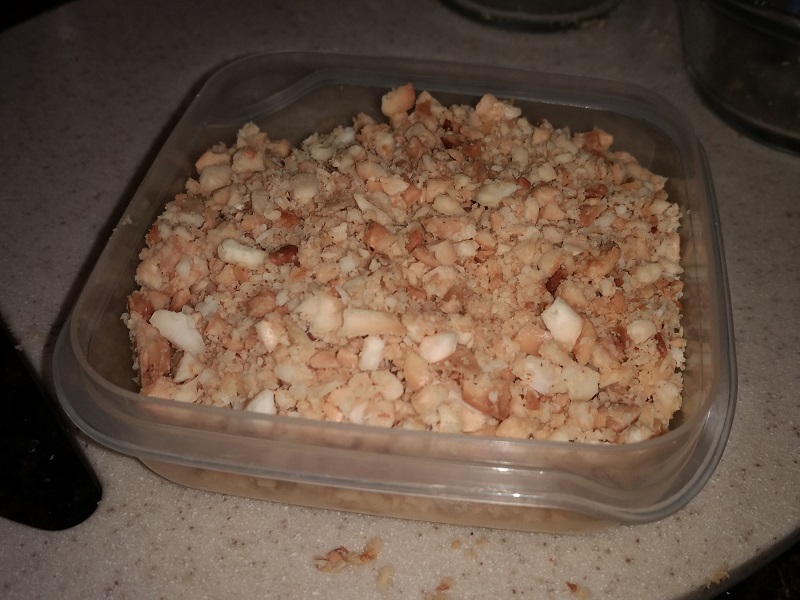 I revived some old WLP023 I had in my fridge for this batch. At first I was wondering if the yeast had died off since I was getting no activity in the starter I had made for it. Two days later after pitching the yeast though, I could smell the signature sulfur odor that this yeast gives off in the closet. Success! The OG for this batch came out at 1.062. 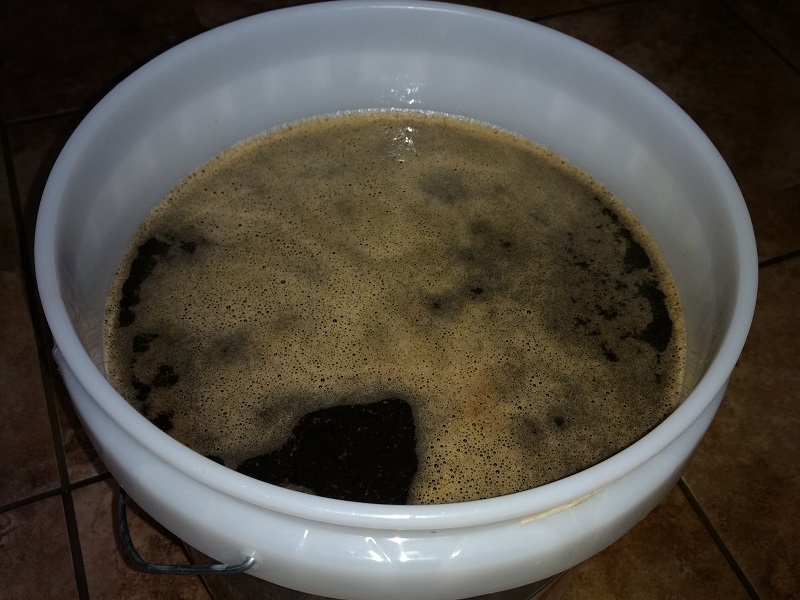 I can't predict what the final gravity of the beer will be with the presence of the oil or other nutty insolubles, but I best place it finishing at around 6% ABV. 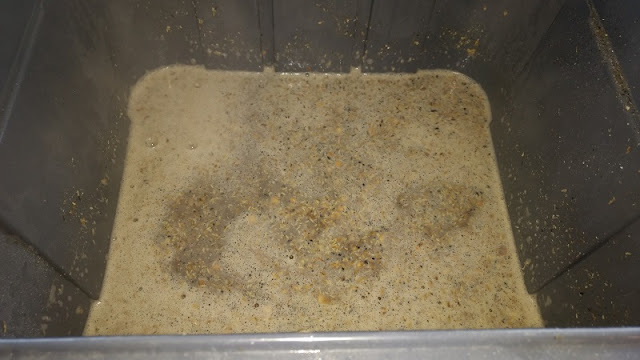 I'm not too worried about head retention at the moment, as I saw some typical WLP023 foam already inside my main fermenter. Until next time, Cheers!